If you are unsure of your Jump Pro trampoline model, click into the models for a detailed description of how you would have installed your top rails. 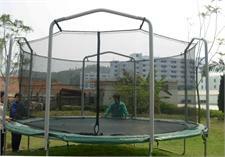 Jump Pro trampolines and enclosures are mostly sold through BJ's located across the Eastern United States. 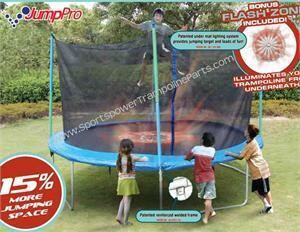 If you purchased your trampoline or enclosure from BJ's, you must likely own a Jump Pro by Sportspower.